The finalists of the Senior Category of the 5th International Chamber Music Competition “Cidade de Alcobaça (CIMCA) were found, after the Eliminatory Round held at the Cine-Teatro de Alcobaça – João d’Oliva Monteiro, during yesterday’s afternoon and today’s morning. In the Final there will be five groups: Merak Trio, Mila Piano Trio, Piano Duo, Tejo Quartet and Trio Ramales. The Final, in this category, will be held also tomorrow, November 22nd, Wednesday, as always at Cine-Teatro de Alcobaça – João d’Oliva Monteiro. 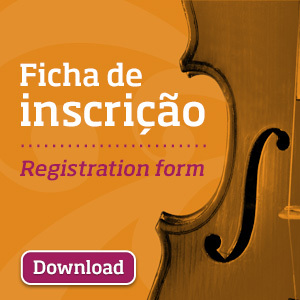 The 1st Prize of the Senior category includes a monetary value of €4000 and a concert under the ambit of Cistermúsica – Alcobaça Music Festival, Stellenbosch Chamber Music Festival, Festival de Estoril Lisboa and Maputo International Music Festival (2018 editions); the 2nd Prize includes a monetary value of €2000 and the 3rd Prize a value of €1000.